Without a proper container, storing butter can get messy enough. Thankfully, this year has brought us some very trendy and convenient butter crocks. These will not only make your breakfast more enjoyable but also add a whole new class and elegance to your dining tables. 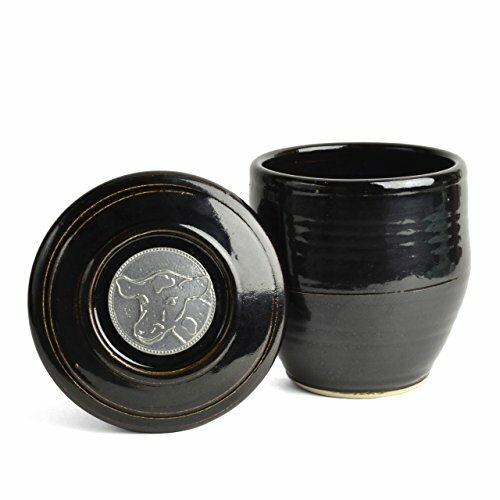 Whether you want it hand painted or in glazed china, the list goes on and the choice is all yours. Given below are three of the best butter crock that you will definitely love. The L.Tremain Company, based in Los Angeles, CA is a pioneer when it comes to housewares and kitchen decorative. The brands motive is to not only provide handy kitchen items but also focus on the effectiveness and beauty of these items. L.Tremain has been a trusted brand when it comes to butter crocks. For many years now, their pieces have been a favorite among the consumers worldwide. The original butter bell crock is a remodeled version of the French barrier. It conserves the beauty of the storage unit without compromising on its quality. The crock keeps the butter at room temperature and prevents it from going bad or giving odors. Very easy to clean. It is also dishwasher safe. Requires cold water to be poured into the base to keep the butter from going bad. 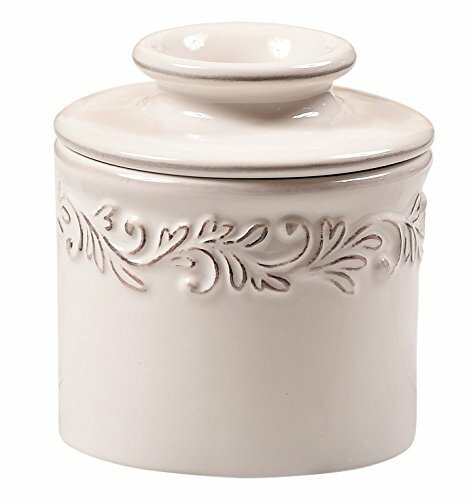 This butter crock, also by L. Tremain has been modeled after the French butter crock and comes with a spreader to match. The crock is very handy to use and will perfectly grace your table tops. It is also very lightweight and sturdy and hence very easy to use. Given below are some features of the product. The crock is designed so as to prevent odor and spoilage in a natural way, without the need for refrigeration. It comes in clean white color with the letters BUTTER printed on one side and the French BEURRE on the other. 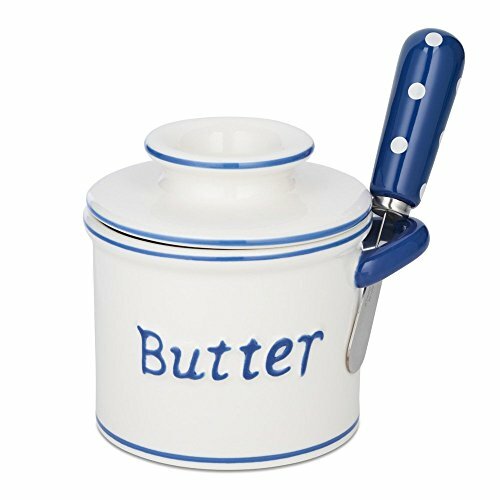 This is an American made butter crock that can be used to store fresh butter without any refrigeration. Cold water poured into the base can easily keep the butter fresh for around 30 days. All of the above butter crocks are very lightweight and display great craftsmanship. Getting one of these will save you from dealing with all the messiness and hard unspreadable refrigerated butter.